I Am your GOD that does all things perfectly, and there is nothing missing and nothing that needs improvement in what I do and will give to you, says the LORD. All that I have for you has already been completed by My finished work on the cross for you. It has been appropriated, and it is perfect. My perfect peace awaits you now. Your unrest is not My gift to you. Peace awaits, as a result of your PERFECT trust in Me, says the LORD. Trust in Me! Look onto Me and that which I have spoken, that which I have promised, and that which I have already given you. For My Word is the absolute authority, not your circumstances. The words of man, though stout and authoritative, manipulative and controlling, cannot trump Mine, says the LORD. Circumstances will come, and they will go! 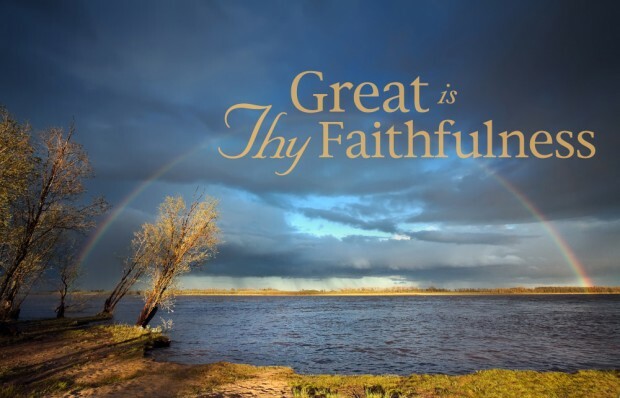 I remain, faithful to you in all of them, says the LORD. I remain your foundation. I remain your peace. I remain your strength. I remain your security. I remain your stability. I remain your source, your shield, your provider. I do not lie, My Word is a sure Word, and I will honor your faith and trust in Me. Do not waver in this, regardless of the winds and waves of adversity. Remember what you have already endured, and how I have brought you through past difficulties. They were tests and trials that you successfully passed. I proved Myself to you again, and again, and again. TRUST! BELIEVE! Learn from your past, and Endure these present trials, as you lean on Me! I remain the SAME, says the LORD. My love for you is perfect, and it dispels your fears! For there is no other love that is perfect. Mine is! It remains, regardless of the failing love of others, says the LORD. I will stick to you, when no one else will. Fear is not from Me. Trust in My love, and know that it is perfect, unchanging, and never ending. Your fears need not control your life. Let My love and peace and rest be your constant companions, as you trust in My unfailing presence and power in your life, says the LORD. 15 Responses to God is Faithful! AAAAAAAMMMEENNNN and AAAAAAAMMMEENNNN HALLELUJAH HALLELUJAH GLORY GLORY GLORY THANK YOU HOLY SPIRIT. I RECEIVE THIS POWERFUL MESSAGE IN THE MIGHTY NAME OF JESUS HALLELUJAH HALLELUJAH AND ALL GLORY TO GOD ALONE AAAAAAAMMMEENNNN AND AAAAAAAMMMEENNNN! Thank you Lord for being ever faithful. I love you. Amen.